Market research isn’t just for blue chips. It works for home businesses too. So why would you do market research? To find out how much customer demand there is for something. In this case, you have a specific idea in your head – an area of business you’re thinking of getting into. So naturally you test the waters to see whether the market demand is there to support what you have in mind. You can also do more “blue sky” research when you simply ask potential customers what they’re looking for without a specific idea of what their answers will be. This may suggest a completely new line of business to you. Another key reason to do market research is to use the results to demonstrate to a third party that your business has great prospects. Usually this third party will be a potential investor in your company, and the results will form part of your business plan. You should certainly begin your market research with a consultation of the best publicly available sources of information. Government statistics, with their discussion of social trends and demographic changes, can often be useful. You can view them for free on the web. 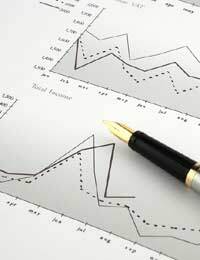 A number of dedicated market research organisations exist which regularly produce analyses of specific business sectors. Their reports can be hugely rewarding, with lots of tips about what’s on the way up and what’s on the way down. Unfortunately, they can also be rather expensive, often costing hundreds or even thousands of pounds. Sometimes you can read part of these reports for free, however; occasionally, summaries of their key points appear in newspaper or magazine articles; and you may be able to get access to the report for free through membership of a business organisation, such as a trade association, or a local chamber of commerce. Ultimately, the best market research is not an abstract thing. It comes from listening to your customers, whether actual or potential. Big firms pay professionals to conduct surveys, focus groups and in-depth interviews with individuals to find out what their customers want. Realistically, you probably won’t have the funds to do that. So how can you get the same results for free? If you’ve not yet set up your business, you can often tap into the mood of potential customers through forums and online discussion groups related to the area you’re thinking of specialising in. There, people usually express themselves with a brutal candour – which is just what you want! If your business is already up and running, you can create questionnaires to submit to your customers, either by post or online. There are a few websites which help you construct market research questionnaires, offering you basic templates which you can adapt to your own needs. In-depth discussions with particular customers can also be immensely beneficial. They will let you know what they like or don’t like about your company and what they think of the competition. It can open new vistas of understanding to you about the things you need to improve. Be careful the customer is a willing partner in the discussion, though. If you buttonhole someone who’d rather be doing something else, you may lose a customer for good! If your business is local in nature, don’t be afraid to get a clip board and simply turn up and start talking to people at the nearest town centre. Entrepreneurs sometimes find that a few conversations with real people are worth thousands of abstract analyses and business plan presentations. Think of market research as a risk reduction strategy. It helps you focus your business goals on what matters, and tells you what is eventually likely to pay off in enhanced profits. Without adequate research, you’re just steering your business blindly, hoping for the best.